Home > Blank Mouse Pads Wholesale - All Sizes, Shapes & Colors! 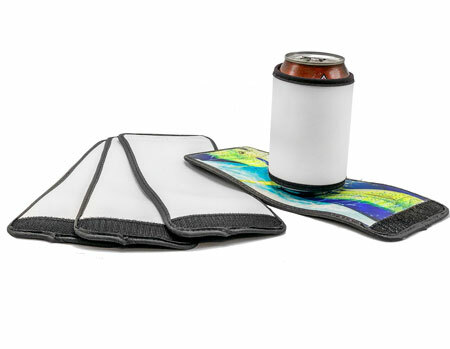 > Can Wrap/Insulator/Koozie Poly Top/Neoprene Rubber 4”Hx9.75"
Can Wrapper/Insulator. Secures with Velcro® fastener. This type can wrapper is popular because it can be adjusted to securely fit most standard 9oz -12oz cans. Ideal for sublimation printing, digital transfers or screen printing.